We are marketers, web developers, copywriters, designers and above all, storytellers. We thrive in and have created a collaborative environment that values both individual expertise and the power of collective analysis. Meet the team that leads the charge. As the Founder and CCO of MODintelechy, Maria has more than a decade of experience developing advertising and branding campaigns for local and national clients. Her work has earned 16 ADDY® awards and 49 American Graphic Design Awards, with special recognition as one of Graphic Design USA Magazine's “People to Watch.” In 2017, she was named an Austin Under 40 Awards winner, an honor granted annually to Austin's emerging business and community leaders. 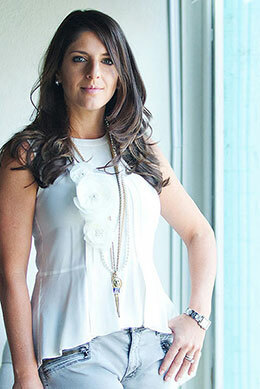 Maria is also a featured writer for elite publications such as Entrepreneur Magazine and the Austin Business Journal. A dedicated philanthropist, Maria is passionate about giving back to the Austin community and is a long-time supporter of Ballet Austin and Austin Sunshine Camps. She serves on the Fashion Marketing Advisory Board for The Art Institute of Austin as well as on the Board of Directors for the Girls Empowerment Network (GEN) and Center for Child Protection, where she is a founding member of the Guardian Angel Society. In addition to her professional and volunteer duties, Maria has a wide range of personal interests like skiing, interior design, and checking countries off her travel list—31 so far. Scott creates and executes new go-to-market strategies, leads marketing and brand transformations, and implements in-market programs for regional and national clients. Our Founder and Chief Experience Officer has over 20 years of experience specializing in B2B lead generation and working with industry leaders the likes of AT&T, Bank of America, and Dell. Scott has shared his industry knowledge in publications such as Texas CEO Magazine and during speaking engagements including the Integrated Marketing Summit. 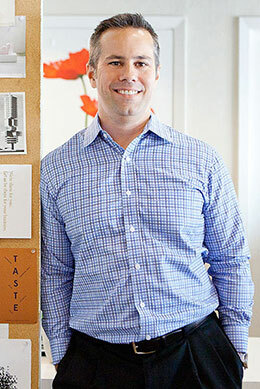 Scott is an active member of the Entrepreneurs Organization, an avid supporter of Austin's Habitat Young Professionals and Ballet Austin, and was also a two-time finalist for the Austin Under 40 Awards. When out of the office, Scott loves watching Duke Basketball (his alma mater), planning his next adventure abroad, and spending time with his family. A self-proclaimed (and proven) problem solver, Michael has developed and executed a range of successful internal and external marketing and communication strategies for over two decades. He has worked with both B2B and consumer clients to produce advertising, demand generation, and online campaigns on regional and global platforms. Michael’s impressive list of clients includes Dell, Rackspace, AT&T, Adobe, and BazaarVoice, where he was responsible for a $2 million client portfolio featuring Adidas and Reebok. When he’s away from his desk, Michael stays active in the Austin community as a Cub Scout Den Leader and as part of the Young Men’s Business League Alumni Foundation having previously served on the Board for eight years. He can also be found rooting for Texas Longhorn football, tending to the family garden, or teaching his two boys to play Blackjack. Pam has more than 20 years of experience working on large-enterprise data solutions. Her participation in all facets of the development life-cycle has given her key insight into successful project development, making her a key contributor early on. She has developed the data model for many website databases and developed packages for automated syncing. Pam is also skilled in many technical applications including Tableau, Microsoft SQL Server Replication, Microsoft SQL Server Integration Services, SurveyWriter, PowerBuilder, and Microsoft Visual Studio.NET. 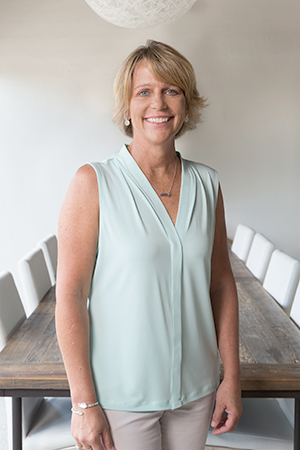 Prior to joining the MODintelechy team, Pam ran her own consulting company, implementing successful solutions at the Texas Comptroller of Public Accounts, Seton Medical Management Resources, and Pyle Research Group. In her spare time, Pam is either hanging out with her family, cooking out with friends, or practicing her backhand on the tennis court. At MODintelechy, Adam leads creative initiatives for nationally-recognized brands such as Exclusive Resorts and SailPoint, among others. 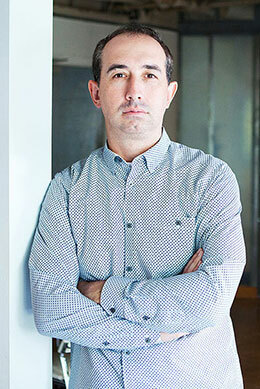 He’s lived and worked in many creative cities throughout his twelve-year career— London, New York, and now Austin. Our creative leader honed his craft at the esteemed UAL before helping shape progressive design teams at the Tate and MOO, and the minds of young, hungry designers at Shillington School of Design in NYC. 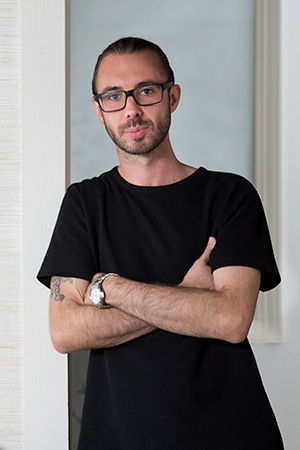 Though Adam’s own eclectic portfolio of projects ranges from Unicef to Black Sabbath, one thing remains constant—his passion for crafting impactful, meaningful design. The rare times he’s not mouse-in-hand, you can find him casually crushing marathons, flat whites, fish tacos, or marital interior design. YOU'VE MET WHO MAKES IT HAPPEN. NOW SEE HOW WE DO IT.